WITH Microsoft and Apple opposing Theora, while Google insinuated that it would support Free software, the following announcement from Google was inevitable and expected. VP8 is being liberated and regardless of the consequences (for Theora, for example), it is good news which is welcomed by opposers of software patents. Techrights too would like to thank Google (more detailed coverage coming soon). “Developers should be provided with detailed explanations why Google believes that no one adopting WebM will have to fear allegations of patent infringement. Otherwise those developers might be exposed to a considerable risk. It wouldn’t be possible to check on millions of different patents but at the very least I think Google should look at the patents held by the MPEG LA pool as well as patents held by some well-known ‘trolls’ and explain why those aren’t infringed. Programmers have a right to get that information so they can make an informed decision for themselves whether to take that risk or not. Berlin, May 19th 2010 — Today Google announced it would make the VP8 codec open source and royalty-free as part of their WebM project. The codec is on par with other video codecs for high video quality and can be used in the emerging HTML5 web standard for playing video content natively in a web browser. HTML5, the VP8 video codec and Vorbis audio codec are open standards and thus require no royalty-bearing patents license. 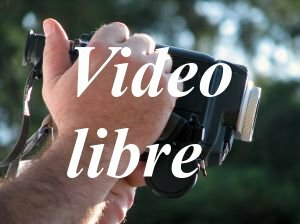 –André RebentischThe Foundation for a Free Information Infrastructure (FFII) had called on the company behind the video site Youtube to support a patent free video codec for the upcoming HTML5 technology. The video codec VP8 was acquired by Google together with On2 technologies. HTML5 will be the next generation of the world wide web, but the standard has been delayed by a clash over streaming video patent licensing conditions. In a controversial move Microsoft and Apple indicated they would support the H.264 video codec only, which is encumbered by more than 1000 patents. “Support for the VP8 video codec by their popular web browsers Internet Explorer and Safari is only a matter of time”, says FFII board member André Rebentisch. “In the Web openness always prevails”. The FFII is a not-for-profit association registered in twenty European countries, dedicated to the development of information goods for the public benefit, based on copyright, free competition, open standards. More than 1000 members, 3,500 companies and 100,000 supporters have entrusted the FFII to act as their voice in public policy questions concerning exclusion rights (intellectual property) in data processing. The consequences for Theora don’t really matter – you can be sure Xiph will be shouting “WOO HOO!”, throwing their hats in the air and preparing to tweak the heck out of the encoder, as they did for VP3, to make it as absolutely good as possible. Everyone at Wikimedia is also very pleased I don’t think .webm uploads have been enabled yet. It’s important to see what happens in YouTube/Google Video. Most of the Web’s video streaming take place there (about 2 billion views per day). YouTube are progressively making *everything* available in VP8. Greg Maxwell advises caution before going live with it (there’s a possibly-exploitable bug in the released code dump): http://lists.wikimedia.org/pipermail/foundation-l/2010-May/058558.html – but wants people experimenting with the code and kicking the tyres. In any case – interesting times! Interestingly, Ogg developers are delighted. I’ll write about this tonight (long post). Monty is the one I read about.